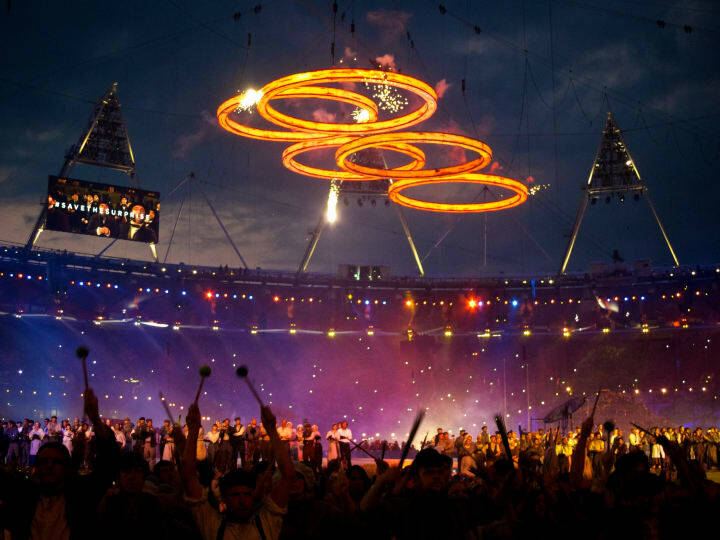 I’ve always been fascinated by the Olympics. I vaguely remember the Seoul games of 1988, but I do recall watching cycling and athletics in Barcelona four years later. I’ve been glued to the television for subsequent games, although Athens 2004 has faded from memory. Beijing was magical, made sweeter by a surprising British medal haul. Heightened expectations have followed our athletes ever since. It is less the sport that fascinates me; the Olympics are the only instance where all my interests in culture, modern history, design and architecture intersect. And with 18 former host cities, they provide inspiration for travel destinations too. Jon Pack and Gary Hustwit’s upcoming book, The Olympic City, feels like it’s being written exclusively for me; I’ve long had thoughts of producing something similar. In recent years, I’ve visited former Olympic parks in Melbourne, Munich, Montreal and Barcelona, all holding shadows of past games. Few original buildings stand in Melbourne, but a large landscaped sports district acts as legacy. Much of the park in Munich remains, as do reminders of the darkest day in Olympic history. Barcelona’s Olympic park is worth visiting too, with its beautiful stadium, swimming pool and communications tower standing much as they did twenty years ago. Montreal by comparison, is a city scarred by its hosting role. It only paid off the debts it incurred a few years ago, and the stadium is a white elephant (and one that failed to be completed in time for the games). Yet walking around its strange alien-like structure, you can still imagine people hurrying to their seats, ready to enjoy a day of athletic competition. Visiting these cities gives you a sense of the impact an Olympic Games can have. But until 2005, it seemed they only happened elsewhere. Starting today, and for the next two weeks, the Olympics are happening here, in Great Britain. In London. The prospect of hosting this event has been greeted by the British public with a typical — and perhaps healthy — degree of cynicism. Maybe the response to the logo was justified, but anecdotal evidence suggests the subsequent backlash led to the identity getting watered down. The safe and uninspiring website appears to be one such victim of the resulting conservatism. Still, I like that we tend not to get blinded by unfettered optimism. I’m glad organisations like 38 Degrees have taken on the corporations who were given tax breaks in return for their sponsorship. That the IOC chooses to partner with the likes of Coca-Cola, McDonald’s, DOW and Rio Tinto is worthy of derision. I think of cynicism as vinegar. A splash helps the taste. But add too much and the sourness overwhelms everything. Olympics happen once every four years. Most people are unlikely to experience them happening in their own country. I still get shivers down my spine whenever I see banners with the Olympic Rings on them. This is once in a lifetime event, and I intend to make the very most of it. I experienced the track cycling test event at the velodrome in February. I have tickets for the woman’s football (Team GB v Brazil) and the Closing Ceremony. I’m going to try and catch the cycling road race tomorrow (should I find a somewhere to stand on what will likely be a crowded route through Dorking). I was unsuccessful in my application to become a Games Maker, but I will be performing that function at the Paralympics in September instead. I was also fortunate enough to attend a dress rehearsal of the opening ceremony on Wednesday. The atmosphere inside was incredibly friendly. Maybe because it was attended by other volunteers, as well as friends and families of those performing. But I suspect many shared the same mix of excitement, pride and emotion I did. I became overwhelmed as I took my seat inside the stadium, in what was near as damn it an opening ceremony. This was an experience you only see on television; I never thought I would get to see it for real. Of course, it was only a rehearsal, but I got a privileged glimpse of what will happen tonight. Many will remain cynical, and I’m sure comparisons will be made to the show put on by the Chinese four years ago. But from what I saw, I think Danny Boyle’s celebration of our people and culture will do us all proud, and set in motion a fantastic fortnight of sport.